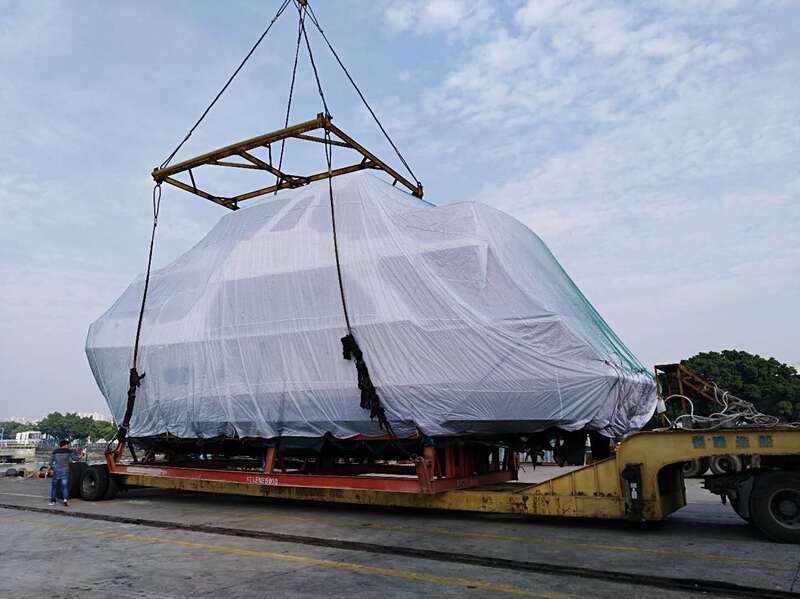 The very first Selene 59 Ocean Clipper of the fast semi-displacement line has passed all the tests with flying colors at the shipyard, including the CE inspection. She is now on her way to her lucky and proud owner! A few days ago, she was loaded on a cargo vessel at our factory and will reach the Mediterranean sea within a couple of weeks. The Selene 59 Ocean Clipper is a new addition to the Selene Ocean Yachts line. She is a beautiful three-stateroom yacht with a large saloon and a huge and luxury flying-bridge. The fore deck also sports two loungers to port and starboard, a table and settees perfectly adapted to the Mediterranean lifestyle and cruising destinations. The aft deck equipped with a hydraulic crane can host a 12′ to 14′ tender. The Selene 59 Ocean Clipper sails in the fast lane, but first of all, she is a Selene with all the Selene Yachts features, an integral swim platform with extended hull underneath, a roomy and practical engine room with easily accessible systems for service and maintenance and a large lazarette. On the lower deck one finds a very elegant 3-cabin interior, a full-beam owner’s stateroom with en suite head and walk-in dressing, with an optional 4-cabin layout. On the main deck the crew has a commanding view from the pilot-house with a Pullman watch berth and a deck saloon. The saloon is wide and airy with large windows and a well organized galley. With a modern-classic decoration, creme leather upholstery, high-gloss joinery and stainless-steel trimmings trhoughout, the Selene 50 Ocean Clipper is ready for endless voyages to the Balearic islands or the Pacific North West destinations… Fair winds and following seas!